AfriForum lays criminal charges against E Cape Health dept - SABC News - Breaking news, special reports, world, business, sport coverage of all South African current events. Africa's news leader. The Health department welcomes the charges but disputes any wrong-doing. 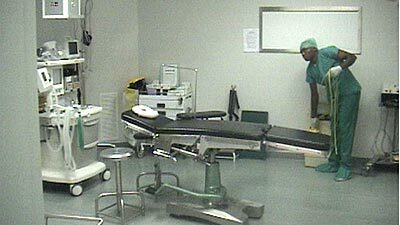 AfriForum has laid criminal charges against the Eastern Cape Health Department. The charges relate to the financial misappropriation of funds in the public sector. The Eastern Cape Department of Health’s annual report indicates that the department incurred irregular expenditure of R26 million in the 2016/17 financial year. The department also incurred fruitless and wasteful expenditure of R6.8 million. Wasteful and irregular expenditure amounting to R33 million. AfriForum accuses the department of failing to detail and account for taxpayer’s money. This falls under Section 86 of the Public Finance Management Act. “We have went through the report and it’s just listed on that report as expenditure with no explanation it’s very difficult when you go through it and that’s one of the reasons for the charges we need to get clarity and we need to make sure it does not happen again,” says AfriForum’s Arno Greyling. Meanwhile, the Health department welcomes the charges but disputes any wrongdoing. Eastern Cape Health MEC, August Sauls says, “Obviously the AfriForum can do whatever they want to do. They have liberty to do that. “All that we know is that in the provincial legislature we have a Scopa that sits independently chaired not by ANC person but by Tata Mhlathi that is chairing that committee. We’ve just gone to Scopa where the issue of illegal and wasteful expenditure was put to them and it is that committee that will obviously take it to the legislature when we go to present what is the status around those issues,” Sauls defended. AfriForum will go to all nine provinces in November planning to lay criminal charges against the heads of each of the provincial departments of health. This entry was posted on 07 Nov 2018,08:09PM at 8:09 PM and is filed under Sci-tech, Homepage Latest Stories Slider. You can follow any responses to this entry through the RSS 2.0 feed. Both comments and pings are currently closed.